Rainbow Runners Cathy and Darrell from Basingstoke, are set to run the Amsterdam Marathon on Sunday 15 October. 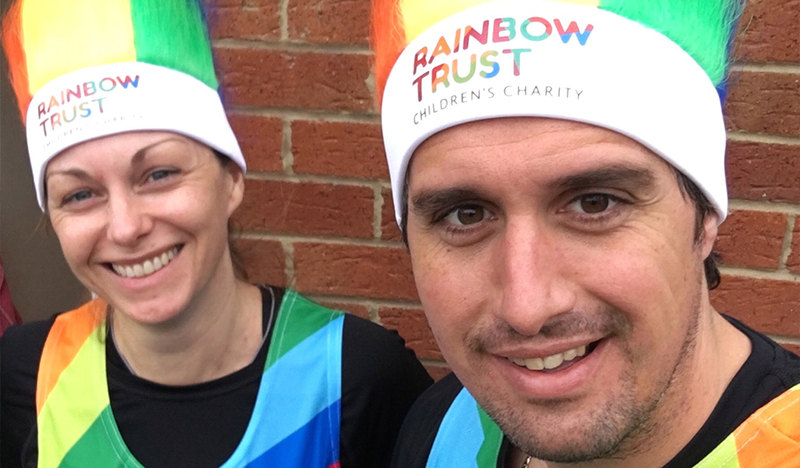 Having currently raised over £5,000, their fundraising will enable Rainbow Trust to provide support to three families with a terminally ill child for a whole year. The Amsterdam Marathon is known to be a fast and beautiful course, both Cathy and Darrell have been in training and have now completed their last 22 mile run in preparation for the big day. Funnily enough, after completing the marathon, they will have clocked up an incredible 370 miles, which happens to be the same distance between Basingstoke and Amsterdam by road! Having already exceeded their initial £3,000 target, their fundraising page just keeps on rising, and we can’t wait to see how much they can raise! We would like to wish both of them lots of luck for this weekend! If you would like to support Cathy and Darrell you can donate to their fundraising page here.